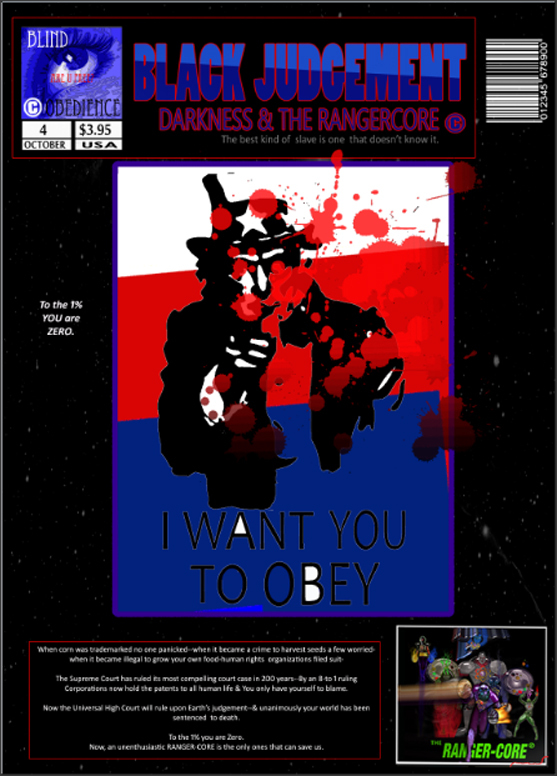 BLIND OBEDIENCE COMIXZS overwhelmed with demand-1st four issues sold out. I want to start off by saying AGAIN, I am sorry that we were not able to get a book into the hands of everyone that wanted one--but I am happy to say that we were able to get a book into the hands of everyone who ordered one. So it was a mixed bag--and I am sorry. I didn't expect the book to be this popular and I feel terrible about letting people down. I promise anyone who orders the next book before November 15, 2012 will get what they paid for. We are considering a 2nd printing, but lean more towards not and leaving the original as the original. So thank you for sticking by us. And again, I am sorry for this that wanted the 1st two issues but didn't get them-We added a few xtra pages for our loyal fans for free to say thank you! We thought the name BLIND OBEDIENCE was more representational of us & our fans--so remember to the 1% you are ZERO.